Taste the world on shore… and onboard. At Azamara Club Cruises® we take you to remarkable destinations. We also give you more time to fall in love with them. It’s what we call our Destination Immersion® experiences—and it's what happens when you can stay longer and experience more on our voyages. More time to get to know the local life and culture in every port. After all, isn’t that what travel is all about? But Destination Immersion® experiences don't just happen on shore. They happen onboard, too. What does that mean for dining onboard? We incorporate the flavors of a destination into our menus. What does that mean for you? 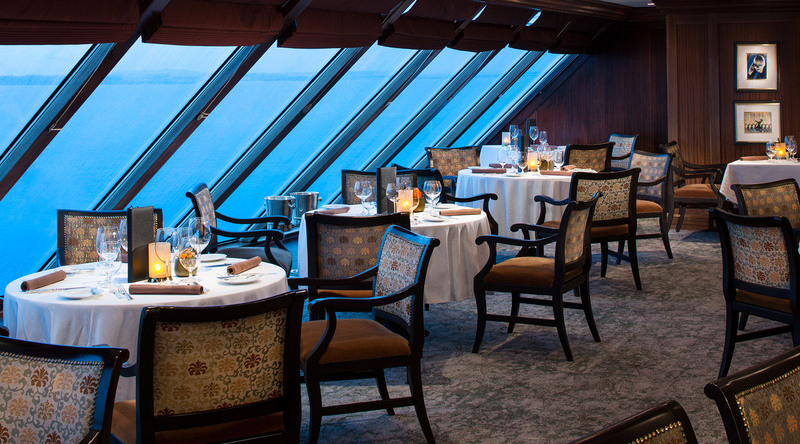 A culinary experience that is exclusive. Personalized. And very local. It’s time to get a real taste for travel. Due to the popularity of our specialty restaurants and regard for your fellow guests, a $15 late cancellation fee will be charged to your guest folio if a booking is not cancelled by noon on the day of your reservation.